Built for the Lehigh Valley Railroad in February 1941, No. 95100 was one of 105 “Northeastern” style steel-bodied cabooses built by the railroad between 1937-46. 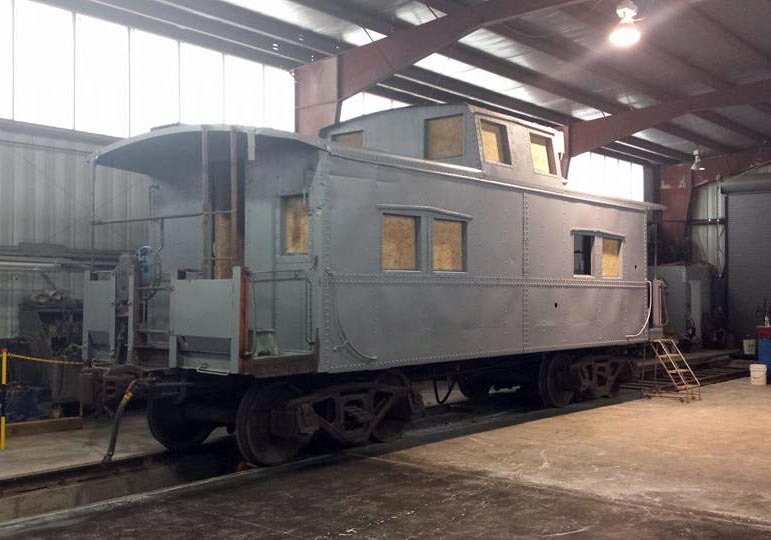 This car is a significant addition to our collection, as the LV served the city of Rochester with a branch line that terminated at Court Street (now home to well-known Dinosaur BBQ restaurant). We rescued it from a scrap yard in October 2011, thanks to generous private donations. 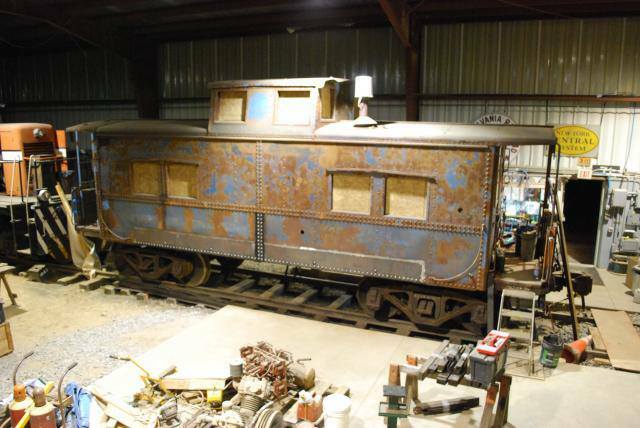 It is our goal to restore this car to its mid-1970s appearance, to pair with our preserved Lehigh Valley RS-3m 211. The car will be restored entirely through volunteer labor. We will be depending entirely on outside donations in order to complete the work. Stored on private property near Manchester for a number of years, the museum purchased LV 95100 from a local scrapyard thanks to an eleventh-hour rally for private donations. The car was trucked to our museum at the end of 2011. 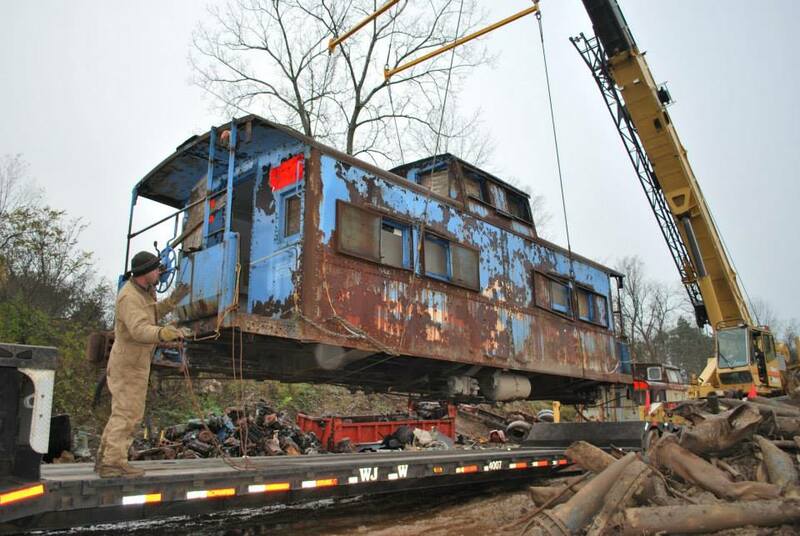 The caboose was stabilized in 2012 and 2013, with the wooden interior disassembled so that welding and other repairs could be made without the thread of fire. Surfaces were needle scaled to remove rust and layers of paint buildup. By the summer of 2014, repairs to the steel body along the sill were completed, and new pieces have been riveted in place. Exterior metal repairs were completed in the summer of 2015, and sandblasting and other surface prep began in October. 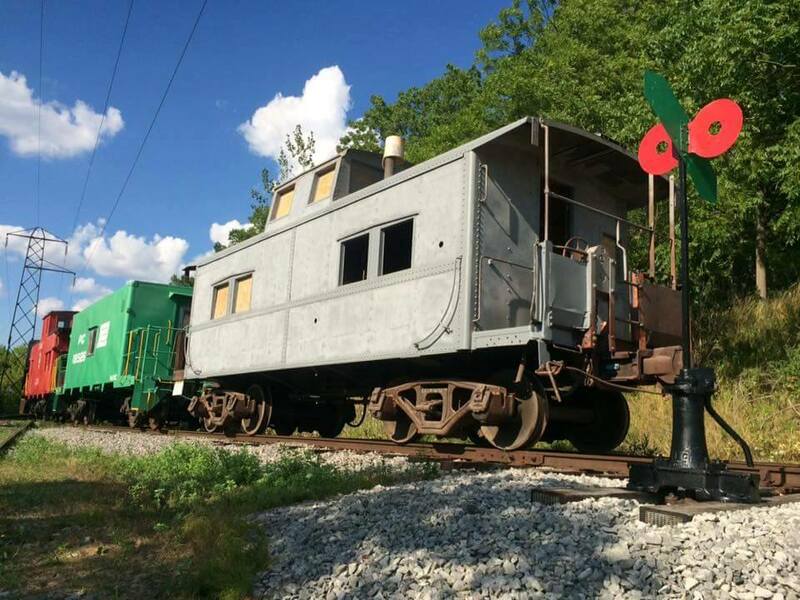 Our dedicated volunteers have contributed thousands of hours to the repair and restoration of this caboose. The Lehigh Valley Railroad mainline ran just a mile from our museum grounds. Oue goal is to restore this caboose to its in-service appearance from the 1970s, and operate it on our demonstration railroad. 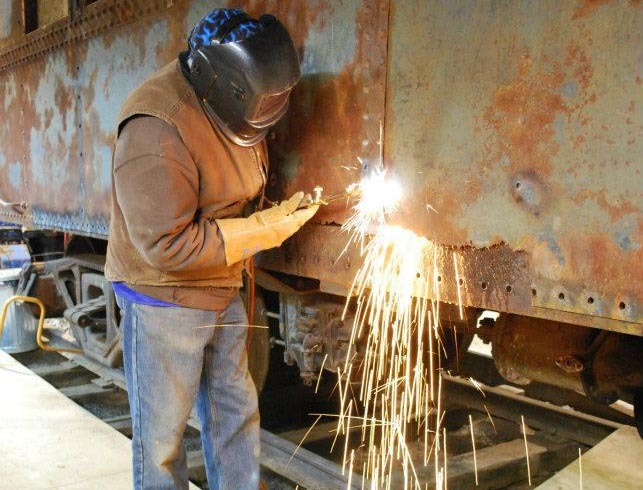 Help us preserve a piece of Rochester’s rich railroading heritage! A donation in any amount will help us complete this important project. 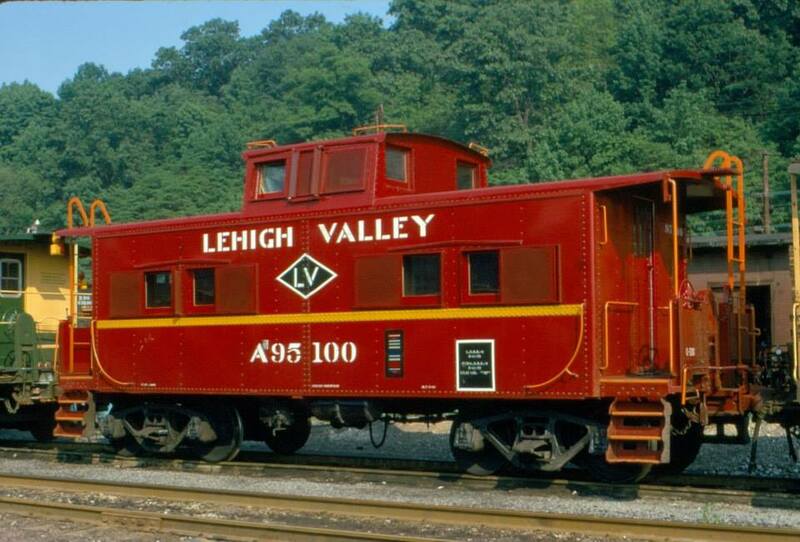 Donate to the restoration of Lehigh Valley 95100! The Rochester & Genesee Valley Railroad Museum is a 501c3 non-profit educational organization. All donations are tax-deductible to the fullest extent of the law.